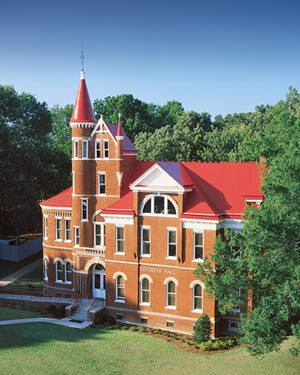 The College of Liberal Arts sets general education requirements that every student in the College must meet in order to graduate. The list below shows those requirements as adapted for students in the Croft Institute for International Studies who expect to graduate with a Bachelor of Arts degree in the International Studies major. Honors College students are required to take Hon 101 and Hon 102.
International Studies majors are required to take a course in their chosen foreign language every semester they are enrolled. Exceptions are made only for native speakers of a language other than English. Students with an East Asian regional concentration may choose either Chinese, Japanese, or Korean. Those concentrating on Europe may choose French, German, Italian, Russian, or Spanish. Students focusing on Latin America may choose between Spanish or Portuguese, and those studying the Middle East must study Arabic. Any history course satisfies this requirement. International Studies majors typically fulfill this requirement with upper-division history courses that are approved for their regional concentration in the major. Students who are not confident about their background in modern history are encouraged to take Hst 120 (History of Europe since 1648) in their freshman year. Note that performance courses (including orchestra or band) do not fulfill this requirement. International Studies majors must fulfill the mathematics requirement by taking Math 271 (Calculus of Decision Making), or, with permission of their academic advisor, Math 261 (Unified Calculus & Analytic Geometry I). Astronomy (Astr), Physics (Phys), Biology (Bisc), Chemistry (Chem), and Geology (Geol). Students make also take Integrated Science (Liba 150 and 151) as one of their sciences. Students who choose either Astronomy or Physics as one of their areas must choose the other from outside the department of Physics and Astronomy, i.e., they must chose Biology, Chemistry, Geology, or Integrated Science as their second area. International Studies majors are required to take Economics (Econ) 202 (Principles of Microeconomics) and Econ 203 (Principles of Macroeconomics), which fulfills the social science requirement.